The moral of the story – If you win a snowboard in a pub, go ride it! Isn’t it nice to win things? Whether its £5 on a scratch card, your pub quiz or a double rollover lottery jackpot the feeling of winning is amazing, right!? Well Bill Derbyshire a loyal Mountain Maverick and all around legend got very lucky a few years back when he won an old school Airwalk snowboard in a pub. It sat against the wall in his bedroom for a long time before he got his #bemoremountainmaverick erge to give this game of snowboarding a try. 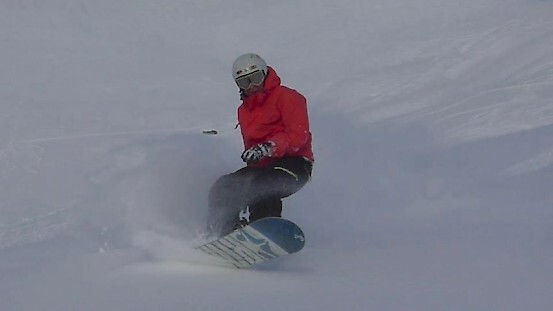 After visiting the UKs dry/indoor slopes he mustered up the courage to book an abroad trip. 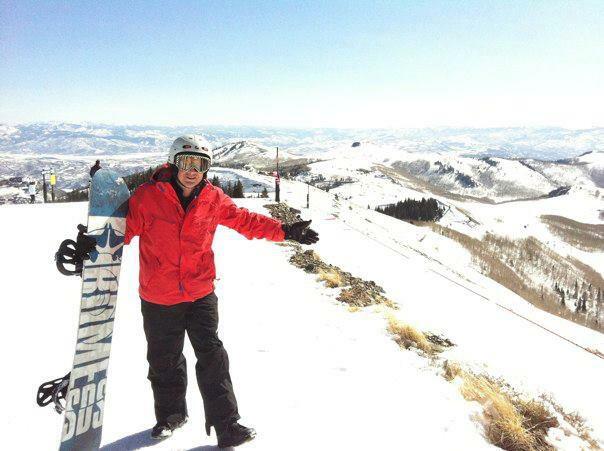 This is where he fell in love with snowboarding and the alpine way of living which has brought him so much! -People say if you don’t take up snowboarding when your young you will never learn or understand the great feeling of snowboarding. Is this true, and how did you learn? Whoever said this is talking rubbish, as my experience shows. Keep going back to the snow until you can ride and ride well. When friends say you are ‘solid’ you’ll know you’ve arrived! -What keeps you coming back to stay with Mountain Mavericks? I came of age in snowboarding with these guys. They are like family to me. Don’t underestimate my determination to keep coming back until I’m 80! -Where is your favorite place to ride in the Portes du Soleil? I would say Ranfolly and Mont Cherie in theLes Gets area; The Arare slalom course (when not in use by slalom junkies); Happy Valley (Chatel area); various runs in Crosset; off-piste routes in most sectors. -What tips would you give to people taking up snowboarding? Look for mentors. I would suggest a minimum of one lesson per year – preferably one to one at the beginning of the season. 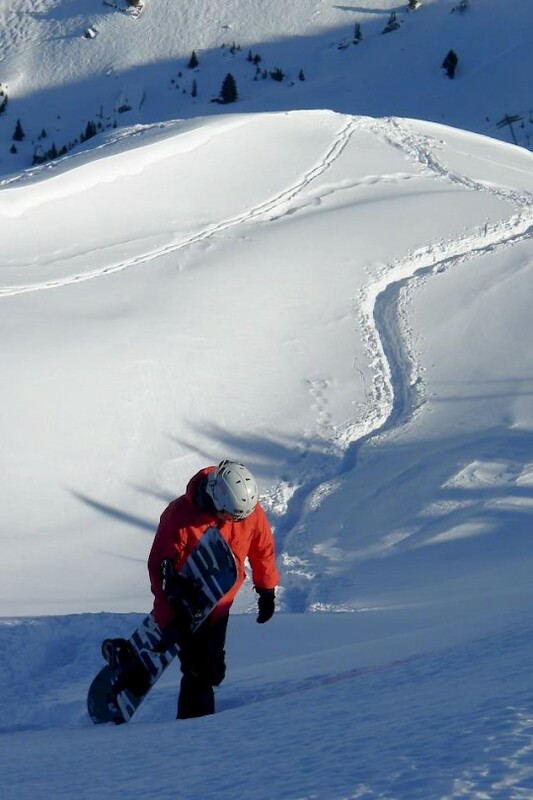 This will then lead you into other opportunities such as back country riding and even split boarding. I would also recommend indoor snow slopes:- they did loads for my confidence in the early days. 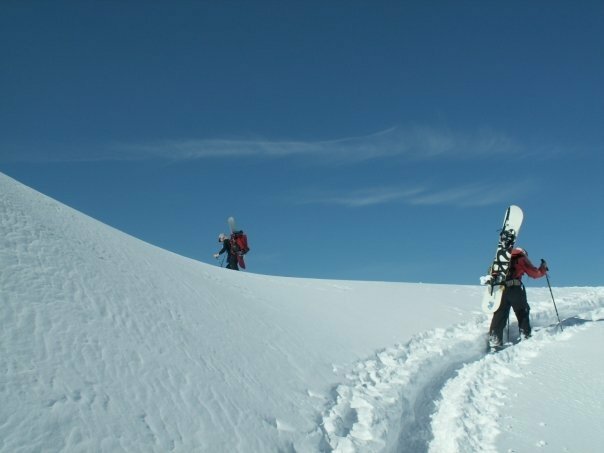 Avoid dry slopes, but if you must, don’t go within 6 weeks of a booked holiday. You’ll know why when you break a finger. Anyway Bill, we look forward to riding and having some après demi’s with you into your 80’s! We know you’re a determined chap, and it’s great to see people living the #bemoremountainmaverick moto! Bring on the snow! 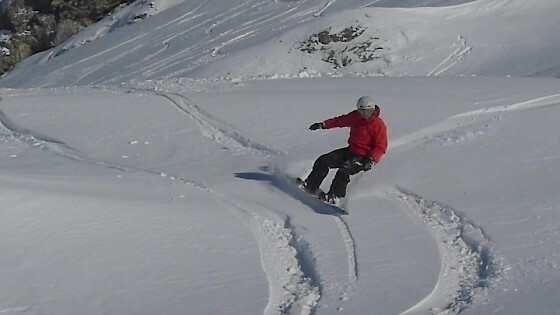 Previous: Avoriaz splitboarding in May!